While wandering around the show floor at PAX, we got a few brief gameplay videos. One of those may almost look familiar, and it comes from Dante's Inferno. 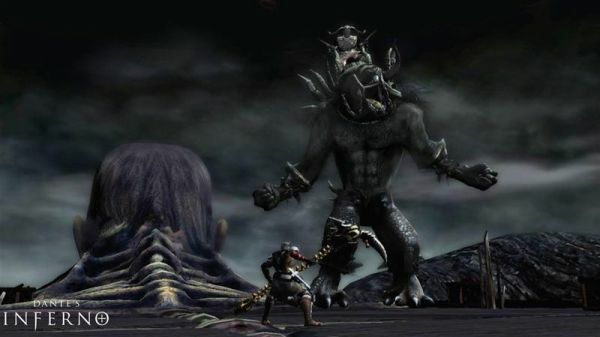 This first boss was impressively large, but everything about the game was God of War and we'll let you be the judge of what that means, exactly. User Arttemis was the test driver here, and he graciously let us use his video camera to record. I recorded, sorry it's not completely stable.